The Telos™XL temporarily attaches to J-style carriers (DownLoader™ - J-Loader™ - AutoLoader™) and the SeaWing™ V-style carriers. 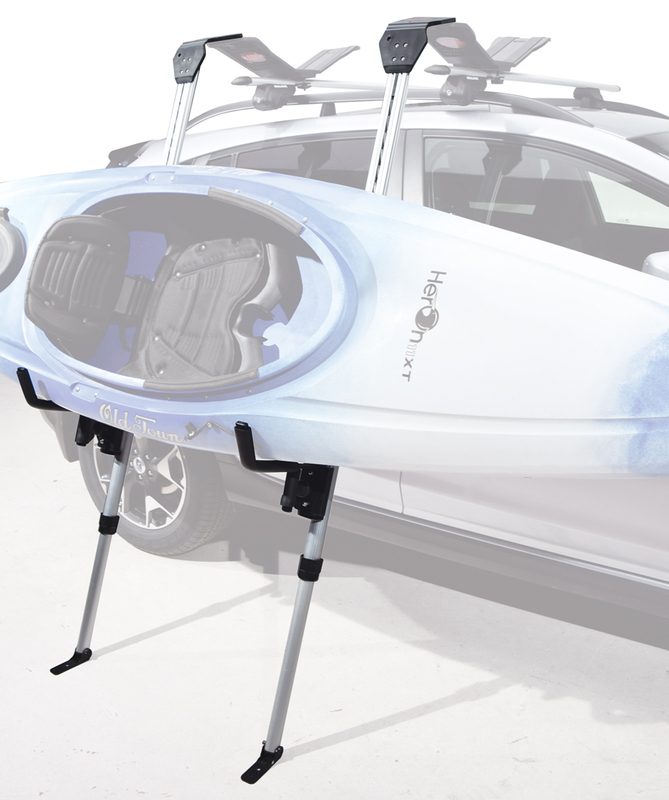 This lift assist provides a safe way to vertically raise the kayak into a position where it can easily be loaded into the carriers. You can detach the Telos™ XL and use it on the other side of the vehicle to load your second kayak, or, store it in the trunk for unloading later. The new ground level adjustable extensions totally avoid contact with the vehicle's sheet metal. There is simply no other load assist on the market with this versatility or value. Comes with assembly tools, instructions.